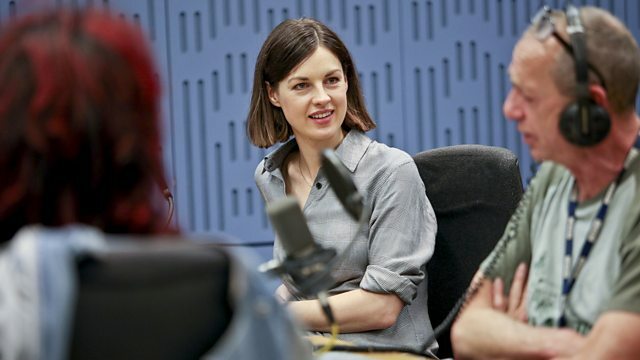 Clive Anderson and Arthur Smith are joined by Jessica Raine, Kevin Bishop, Linda Lewis and Chris Thorpe for an eclectic mix of conversation, music and comedy. With music from Bedouine and Siv Jakobsen. 'The Last Post' is on Sunday 15th October on BBC One. 'Funky Bubbles (1967 - 2017)' is available now on Troubadour. 'Porridge' is on Friday 20th October at 21.30 on BBC One. ‘Victory Condition’ is at the Royal Court Theatre, London until Saturday 21st October. ‘Bedouine’ is available now on Spacebomb Records. Bedouine is playing at Birmingham's Symphony Hall on Monday 16th, The Lowry, Salford on Tuesday 17th and York Barbican on Friday 20th October. ‘Berry & Whythe’ is available now on Piccadilly records.